Powerful and abundant: Douglas Fir dominates much of the PNW landscape, shaping the ecosystem, culture and economy. Herbalist, Talia Hammond, invites students to explore and celebrate this icon of the PNW from her mountaintop farm, Jean Marie’s Garden. 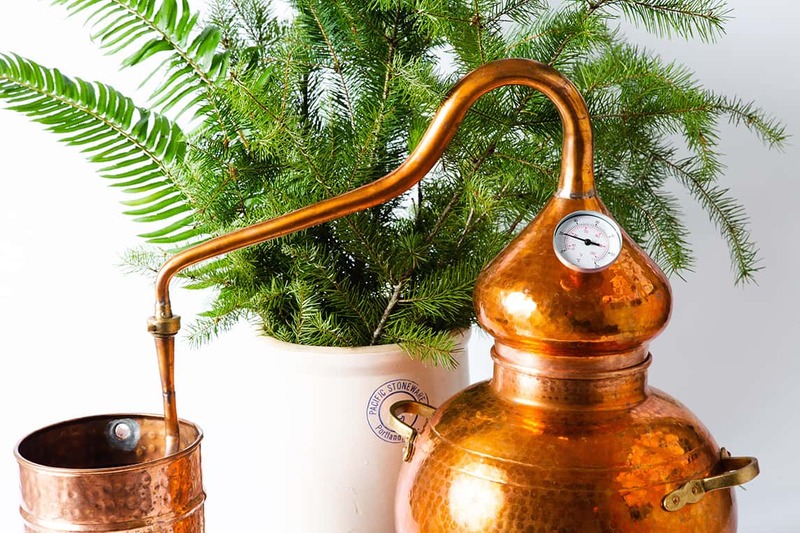 Together, the group will create an anti-inflammatory hydrosol from this giving tree, using a large-scale copper alembic still. Talia will guide students through the process of distillation, with hands-on demos and practice. The group will make a lotion using Doug Fir essence, as well as essential oils gathered from other aromatic trees of the PNW. This class pairs introductory herbal body-care recipes and techniques, with a deep focus on an important and defining tree of our landscape. This workshop takes place offsite, on a working herb farm 15 minutes from the town of White Salmon, WA. The address of Jean Marie's Farm will be provided when you register. This workshop is ideal for folks who like to be outside, and will be held rain or shine.